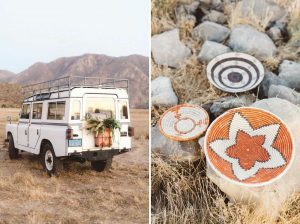 Summertime brings more outdoor adventures and off-roading for Land Rover enthusiasts, but one thing for certain — it doesn’t mean fewer Sightings! 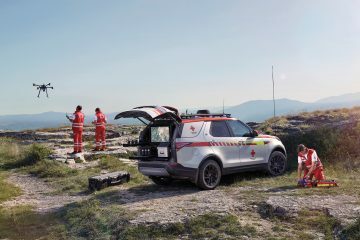 We commend our readers for sharing the presence of Land Rovers in advertisements, commercials, movies, music videos, social media and other real or virtual places. Rule #2 – If your Sighting doesn’t really surprise you, it won’t surprise us, either — thus we can’t award you a mug. 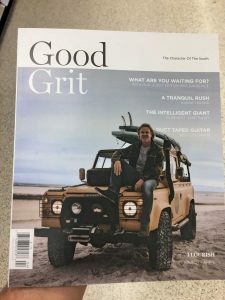 We’re delighted, but not surprised, that Land Rovers appear in British television programmes, British publications, films with British themes and shows about African safaris. You shouldn’t be surprised, either, and should consider looking for other ways to get a coffee mug. Rule #3 – At an ever-changing date before publication, we close off the Sightings; for this issue it was June 30, 2017. If we’ve mentioned the Sighting in an earlier issue, we might not mention it again. 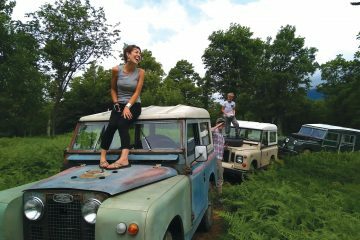 If you’re new to the family of Land Rover enthusiasts, you may not have seen your Sighting in an earlier issue. Rule #6 – Psst… Email submissions — remember we can’t send a mug by email. To be considered for a Coveted Mug, send us your real name and shipping address, too. 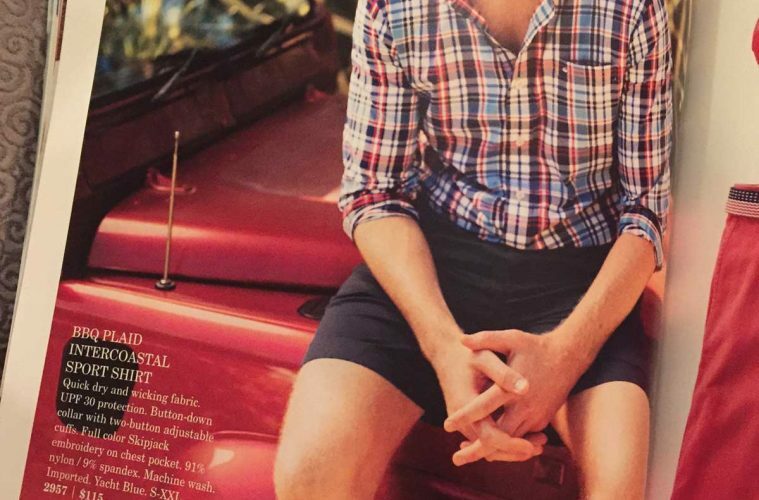 Advertisers know that our eyes gravitate towards Land Rovers, so they often appear in catalogues. Jamison Grinnell, Montpelier, VA, and James Gramling, Onenburg, AL, noted the Defender 90 SW in the Southern Tide catalogue. 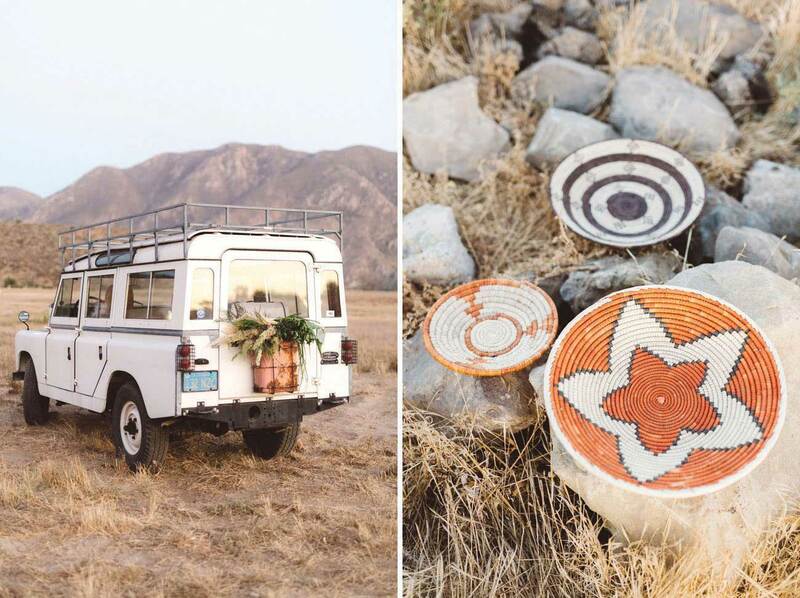 Robert Taglienti, Austin, TX [see Rule #6] spotted the Defender SW in a Hollister email ad. Tom Spoto, Bellingham, WA, loved seeing the Defender 110 in a commercial for the South African hotel chain, Protea by Marriott. 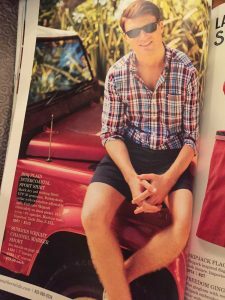 He also enjoyed Christopher Kimball’s essay on his Land Rover travels in the Milk Street magazine. 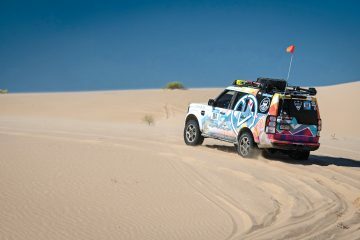 Gerard Smith, Coos Bay, OR, enjoyed seeing the link between a Series Land Rover, Jim Beam whiskey and adventure in an ad in Sports Illustrated. Movies have a long tradition of including Land Rovers for emotional impact. Scott Copeland, Menlo, GA, was Smokey and the Bandit “for the first time in 30 years” and spotted a Series Rover at the “Choke and Puke” bar scene. 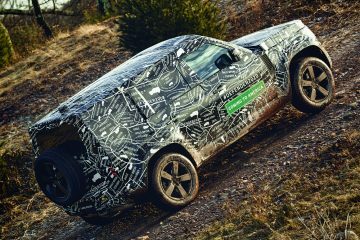 Television shows have proliferated with the growth of cable and online outlets, so it’s no surprise that Land Rovers appear to command attention from viewers. John Cockell, Chelsea, QC, Canada, noted that the UN Blue Helmet troops drove a Defender 110 in a recent episode of Dr. Who. Scott Just, Berkley, MI, spotted a Series I in Kenya on an episode of Bear Gryllis. Derek Leath, Frontenac, MO, spotted the military Land Rover in the NBC series Taken. Paul Kennington, La Grande, OR, spotted an NAS Defender 90 SW on an episode of ABC’s Downward Dog. 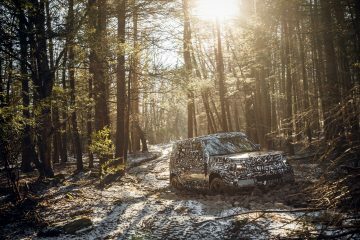 Catherine Chace, Charlotte, VT, visited a Maine Fixed Base Operation with her husband, Derek, and noted an article on exclusive European travel in a Defender 110 in Elite Traveler magazine. Eric DePetris, Middleburg, FL, enjoyed seeing Mike Ragsdale’s Land Rover 90 on the cover of Good Grit magazine. 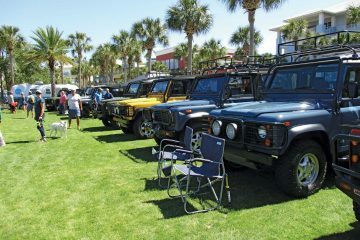 Lauren Dugger, Inlet Beach, FL, spotted a Defender pickup carrying Husqvarna motorcycles on their Facebook page. Green Wedding Shoes’ website provides inspirations for wedding settings and she also noted the Series II-A 109” in the “Safari Theme” one. 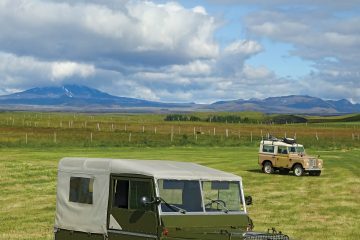 Dixon Kenner, Ottawa, ON, Canada, spotted a Defender 110 in Iceland in an American Express ad. Tripp Moore, Ft. Mill, SC, sent us a Turtle Wax Instagram post with a photo of a Defender on safari. GQ sends out an online newsletter which they hope you’ll read because, as Lee Banner, Tionesta, PA, noted, they included a photo of a Series II-A. (Lee pleaded for a mug because “I’m drinking my morning joe out of a ‘girly’ mug right now!”) Mac Surber, Westborough, MA, enjoyed seeing the African animals on the roof of a Defender 110 while surfing “The Chive”. Les Parker, Sales Tech and Thompson Smith, Creative Director, both of Rovers North, enjoyed seeing the Series II-A 109” at the Cide Road website [see Holiday 2016 issue -ed.] Peter Haarala, Elko, NV, recognized the Defender steering wheel and door panel in the RHD model used for an Icebreaker online ad. Gail Martin, Clovis, NM, spotted a Series III 109” in an FSR online article on a Georgia inn. We’ve mentioned these before, but want to thank Sighters for sharing these again. Truman Oisias, Boulder, CO, is only 6, but he’s enough of a Land Rover fan to spot the Defender in the Behr paint ad. Doug Gable, Cooperstown, NY, enjoyed seeing Defenders in the Jack Wills catalogue.